With the right preparation you can easily and successfully paint over oil paint with latex. This is a guide about applying latex paint over oil paint. I am getting ready to paint the foyer. The trim work has oil base paint on it. Can I use a latex primer or do I have to use an oil base primer and can latex paint be used on oil base primer? Try Kilz or a similar quality primer, read the label in the store to be sure you're getting a primer that will work for your purpose. You should be able to rough the gloss of the oil based paint by first washing with vinegar or TSP, then applying Kilz before you paint with the latex. I've done it several times, even over varnish on plywood panels. It looks fine and doesn't peel if you follow the directions on the primer label. If there was oil paint sand it down, primer it and then use oil based paint or it will peel off or crack. I live in a house that was built in 1900. The previous owners painted over oil based paint with latex and the latex paint is peeling off in some places. Do we need to peel all the paint off, or just the places that are peeling before using Kiltz and then painting with latex paint? I suspect that you have to remove all the paint. I would consult the troubleshooting line of the paint company that you are planning to use. They can be very helpful. Can you use latex paint over oil based primer? If so, is there anything special that needs to be done to apply the latex color paint? Please respond quickly as I'm starting to paint the latex soon. Sometimes can put Latex over primer, this depends on the exact type of oil primer you use. Some primers (like B-I-N and Kilz) have what is called a "critical recoat time" - this means that they must be topcoated -with either latex or oil - within a certain time frame (usually 24 hours) or they become too hard for either type of top coat to adhere, too! * I've read that you can put Latex over oil, but not Oil over Latex (which stretches), but after reading more on the internet I wouldn't risk it. 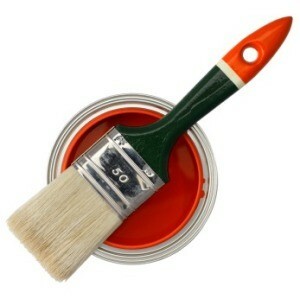 As Foxrun42 says call a paint store, NOT Home Depot, but a real paint store like Sherwin Williams or Benjamin Moore. We used a very expensive latex paint that contained a primer over oil paint, to paint kitchen cabinets. Now the paint is pealing. Is there a solution? The reason your latex paint is peeling is because your oil base enameled surface couldn't accept the latex even though the latex contained primer. You're going to need to scrape off the peeling latex, then properly prepare the enameled surface, which is accomplished by removing the oil based enamel using a stripper, or scraping or sanding the enamel coating off-completely. Any little bit of the enamel will cause the new paint to blister and peel so be sure to get it ALL. There is no other way, and should have been done the first time. After you've got the previous oil based enamel off, apply a separate, good quality primer-be sure to read the label carefully before buying. It should say that it is to be used on surfaces that have had oil based paints removed in preparation for application of a latex one. It sounds fiddly but it is the only way to get a long-lasting, attractive finish. I've been applying primer to my bathroom's formerly yellow walls with relatively good results until I noticed the paint over the toilet section of the wall wasn't adhering as well as the rest. I vaguely recall pulling off a piece of something or other sticking out and then, to my shock and amazement, the primer just kept peeling and peeling, taking what appears to be the previous yellow coat of paint with it. Underneath lies a lighter shade of yellow. Perhaps this is a tinted primer? Anyway, I've tried sanding a small section of the torn area, wiping away dust with a damp cloth, and reapplying the primer, but as soon as the primer makes contact with the edge of primer/underlying mystery surface, it becomes soft and pliable once more. I'm not really sure what the problem is. I don't want to peel off the whole wall of primer/paint if that isn't the problem. I'm thinking the primer reacted as it did because I applied too thick a coat in that area. Please help. According to my research - glossy paint must be deglossed either by sanding or chemical deglossing or the paint won't stick. Also, if there is too much moisture, the paint will peel. The moisture problem has to be taken care of first. Since this is behind the stool or commode section, sounds like it's a moisture problem. What can you do to fix latex semi gloss paint over oil based paint? First you should wash the surface and let dry to remove any build up of grease and dirt. Then lightly sand the surface and tack off the dust or wipe down with a damp sponge rinsing the sponge often.The sanding is neccessary as it gives the smooth oil a rough surface for the latex to adhere to. Otherwise the latex will peel in short order. Most paint stores can also give you advise on painting over oil base paint. Many paint companies no longer sell oil based paint for in or outside use. I currently have bedroom walls in oil paint. I would like to prime and repaint with latex paint. I have a can of Glidden interior latex primer sealer 14950 white. Can I use this primer over oil paint and then paint over the primer with latex paint? Will the paint peel off? What will happen if you paint latex over oil paint, without priming or sanding? You can put latex over oil, (because oil is hard and doesn't move or "stretch"), but you can't put oil over latex (because latex is made with a "rubber" compound and stretches and is slightly pliable). But they never go into detail about it so you hear that you should never put one on top of the other (this way people won't get mixed up). But you'll never go wrong with using a primer, especially one that's tinted to match your paint. This way you'll only need one coat of primer and one coat of paint instead of 2 coats of paint. If it were me and especially if I wasn't using primer, I'd use 100% acrylic paint (see * below). Even if you use a primer you should still never put oil over latex (but you can put latex over oil). Remember to de-gloss any semi-gloss or glossy paint or your paint won't stick properly. Professional house painters have told me that because latex (and acrylic) stretches slightly it makes a longer lasting paint for the outside of homes (because of the massive heat/cold temp change that happens on the outside of homes), ever since they've taken lead out of paint. Lead was added in the old days to make the oil-based paint more playable and longer lasting, but these days it's latex and not oil that last longer on the outside of homes because they've (thankfully) removed the lead. Others may disagree and say that oil paint lasts longer, but this is what I've been told and it makes sense. Oil probably does last longer when temperature fluctuations aren't a factor. We just made a huge mistake. We painted latex over oil paint and now the paint is peeling. The advice that has been given is varied and we're not sure what advice to follow. Some have told us to scrape and sand as much of the latex off as possible before repainting with a latex primer. Others have suggested directly applying a coat of Zinsser 123 and then painting over with latex. Obviously we would prefer going the Zinsser 123 route since it would eliminate scraping and sanding. But I'm afraid that this may still result in peeling paint in the future. Any advice out there? I am a professional plaster and paint expert. I recommend you do the physical work and sand off everything that is capable of coming off. If you can find one, use an old Green Black and Decker sander. They are fast and plaster does not bother these old sanders. Then, I recommend you use ordinary plaster mixed with ordinary white latex paint and apply a coat smoothly over the rough spots on your wall. Use a large trowel and after the plaster is dry on the wall, sand, sand, and sand again until smooth to the touch. The next step is to use a "sealer" or "primer" and paint the wall completely. If you want perfection, sand again and apply more of the plaster/latex mix over any small imperfect spots you discover. One more time, use the sealer but this time, not over the whole wall, but simply over the small plastered spots. Do not use latex primer. You can use oil base primer and paint over it with latex or oil based paint. Latex primer does not stick to certain surfaces no matter what they say where you get it. I know from experience. I paint houses for a living. The best thing to do is rough it up with a palm sander of some sort, not a rough grit, but just something that will knock off what is loose and get rid of it. It will take longer, but it is worth the trouble, otherwise you will have to do it again. Then I would suggest using oil based primer or Kilz to prime the wall or whatever you are painting. Then you can use either oil base or latex paint to add color. Oil based paint will not adhere to latex paint, as latex won't to oil based. Just like water and oil won't mix. To the person that said they were planning on painting window seals and baseboards with latex, please don't. It will be a heap of trouble. If you use latex paint, it will come off easier and won't seep into the wood. It also chips away easier in high traffic areas. Cabinets, trim, and seals need oil based paint. Latex paint in mainly for walls. Furniture also needs oil base if at all possible. This is crazy. Latex paint was developed for going over old linseed oil paint. Latex paint needs a sanded, clean, and dry surface to bond to old linseed oil surfaces which you probably didn't have. Alaid oil is the modern version, which was developed to go over latex. The surface you had was probably moist. I know this because 90% of all paint problems are due to this. The rest is not sanding glossy surfaces. I've been painting for 17 years. If it is truly peeling, you will need: 60 grit, 80 grit, then 120 hook and loop 5 hole sanding disks with a good orbital sander "Porter Cabel", a shop vac with dust attachment, and Hepa filter on your face to prevent lead poisoning of course. I am going to be painting my baseboards and door/window frames with latex paint. They currently have oil paint on them. How Can You Tell if Paint is Oil or Latex? Can You Paint Latex Paint Over Enamel?